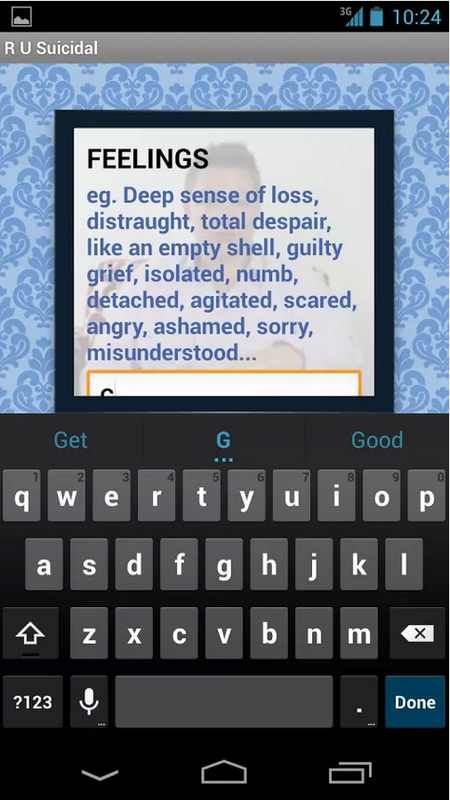 A good app to mention since today is world suicide prevention day. 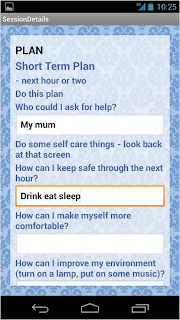 This looks like a fairly basic app, with video content and basic features for problem solving and structuring your thoughts if you are having suicidal thoughts or feelings. 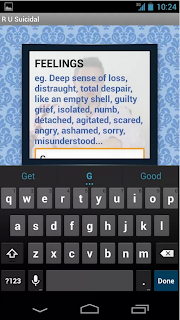 It is available for Android and iPhone. A point of note, if you are having suicidal thoughts, you should treat it as you would any life threatening condition and seek medical or clinical help. 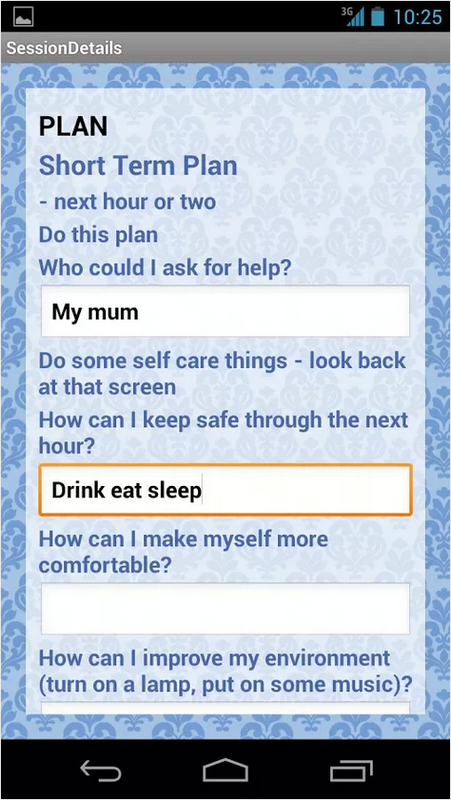 An app like this might help you structure your thoughts so that you can make the first move to seek help, but I urge you to additional seek help from a GP or clinic. If you are in such a situation you are likely to benefit from intensive critical care. I do not believe that this app is a complete solution or that it should be used as a substitute for seeing a doctor or clinic. There is an additional picture of the app below.